Chances are you've entertained the idea of creating your own video game, but the thought of learning how to code and navigate complex game engines quickly relegated that idea to the realm of impossibility. Contrary to popular belief, you don't need to be a programming guru to create your own gaming hits. With the Unity A to Z Game Development Bundle, you can start building your own video game projects with zero background experience, and you can take an extra 70% off its sale price when you plug in the CYBER70 coupon code at checkout. Boasting more than 80 hours of beginner-friendly training, this collection covers all aspects of game development--from coding in Unity to designing 3D assets with Blender. Jump in, and you'll start learning the essentials behind 3D and 2D game development. You'll create clones of popular games, like Super Mario Run and Flappy Bird, and utilize core programming tools like C# to design, code, and model your own game. 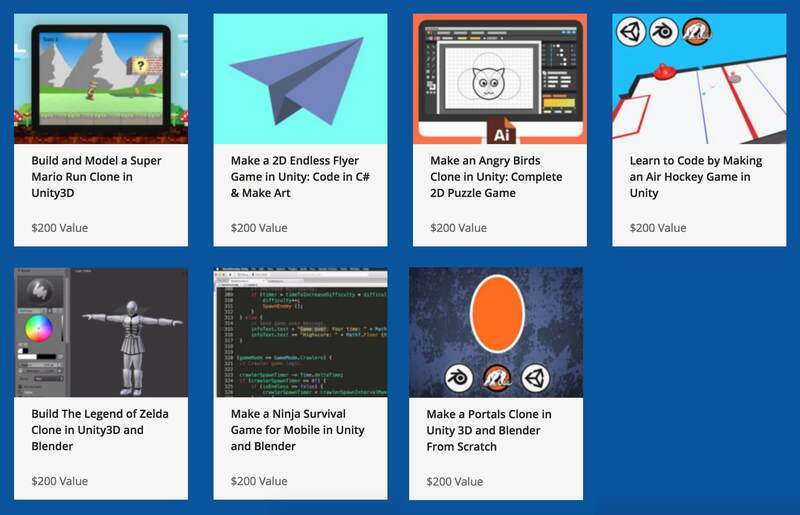 Now, you can get the Unity A to Z Game Development Bundle on sale for $49. Plus, you can save even more when you use the CYBER70 coupon code at checkout.